The 2014 Porsche Panamera is updated with more fuel-efficient powertrains, new convenience and safety technologies, and an optionally available Executive model with a roomier rear seat, all wrapped in a restyled exterior. The new 2014 Panamera debuted in April at the 2013 Auto Shanghai (Shanghai Auto Show). New headlights and a redesigned front bumper characterize the 2014 Panamera, and this model will be offered with optional full LED headlights for the first time. Porsche has also reshaped the 2014 Panamera's rear proportions and details to accentuate its width, the automaker says. A new hatchback design (Porsche prefers to call it a trunk) incorporates a redesigned rear window and a larger rear spoiler that automatically deploys when the car reaches a specific speed, and the Panamera is equipped with new LED taillights and a restyled rear bumper. For 2014, two new Executive models debut, perhaps the first Porsches ever made for people who prefer not to drive. Offered in Panamera 4S Executive and Panamera Turbo Executive, these two new models have a 5.9-inch wheelbase stretch compared with the standard Panamera that adds plenty of rear-seat leg room. 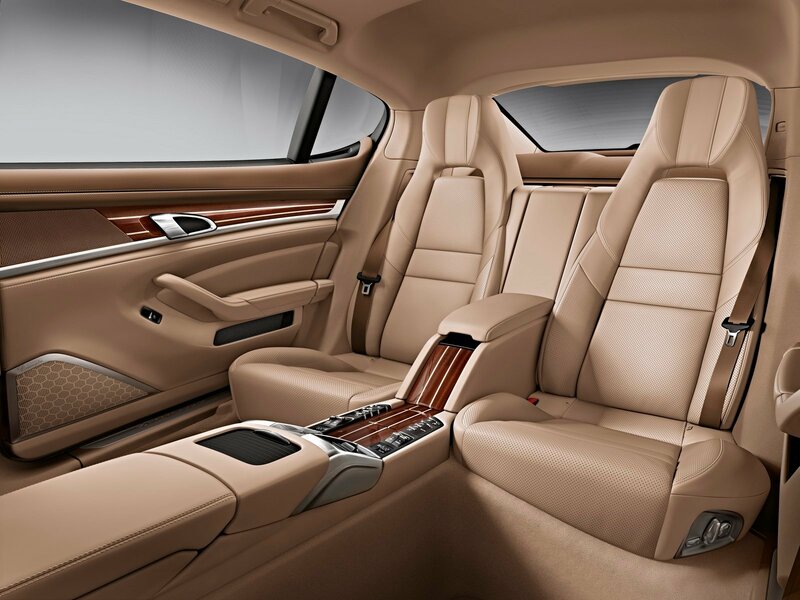 Aside from the extra space provided inside of the new Executive models, the 2014 Panamera's interior is largely unchanged from last year. A variety of extra-cost paint colors, leather treatments, cabin materials, and wheel designs help 2014 Panamera buyers personalize their vehicles. 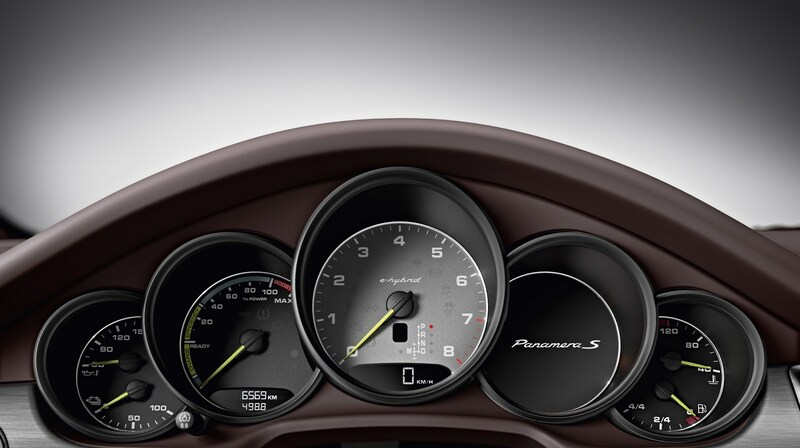 For the 2014 model year, Porsche Car Connect is optional on any Panamera, offering a smartphone connection and control of mobile applications on the in-dash display screen. The Panamera can also be optioned as a mobile Wi-Fi hotspot for 2014, and with full LED headlights. Additional options include upgraded front seats, power-adjustable rear seats, front and rear heated and ventilated seats, heated steering wheel, and a 4-zone automatic climate control system. 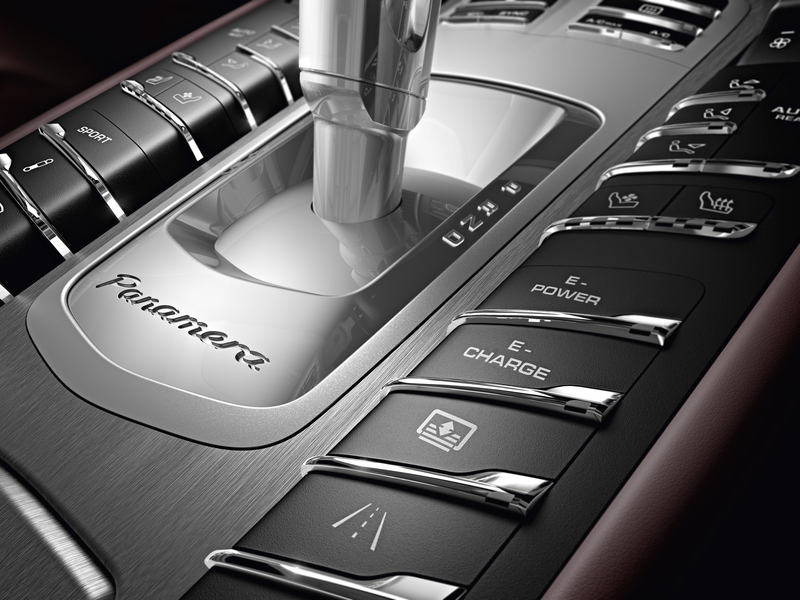 The new Panamera also offers a choice of premium audio systems, a rear-seat entertainment system, passive entry system with push-button starting, LED interior lighting package, thermal- and noise-insulating glass, rear window sunblinds, rear-seat center console, rear-seat refrigerator, and soft-closing doors. Numerous performance- and safety-enhancing options are available for the 2014 Panamera, including Power Steering Plus, an adaptive air suspension with Porsche Active Stability Management, Porsche Dynamic Chassis Control, Porsche Torque Vectoring Plus, and Porsche Ceramic Composite Brakes. Safety upgrades include lane-change assist, lane-departure warning, park assist with surround view camera, and a Porsche Dynamic Lighting System. 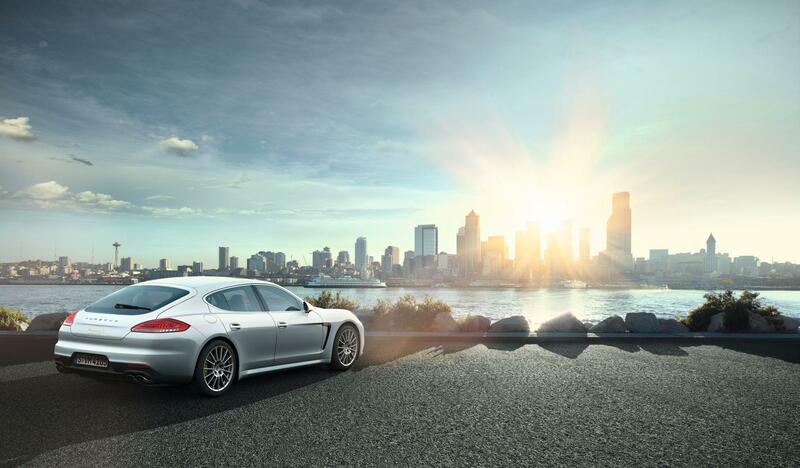 The Panamera's optional adaptive cruise control system is upgraded with Porsche Active Safe (PAS) technology for 2014. The 2014 Porsche Panamera, Panamera GTS, and Panamera Turbo models are equipped with the same engines as they had last year. 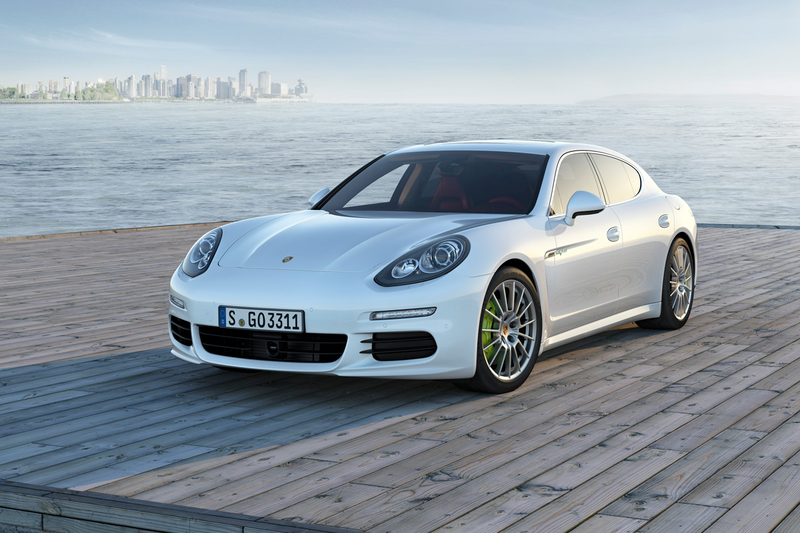 The 2014 Panamera S models debut a new twin-turbocharged V-6 engine and a new full parallel plug-in hybrid powertrain. The Panamera S and 4S models have a new twin-turbocharged, 3.0-liter V-6 engine that generates 420 horsepower and 384 lb.-ft. of torque, making it more powerful than the V-8 engine that it replaces. Porsche reports that the new Panamera S accelerates to 60 mph in 4.9 seconds and can achieve a top speed of 178 mph, and says peak torque is available across the majority of the engine's operating range. A 7-speed Porsche Doppelkupplungsgetriebe (PDK) transmission, an automated manual gearbox that operates like a traditional automatic transmission, is standard on all Panamera models except for the new E-Hybrid version, and the Panamera's fuel-saving automatic stop/start technology is improved for 2014, the company says. Final fuel-economy estimates will be offered closer to the date the vehicle will be available for purchase. The new 2014 Panamera S E-Hybrid model is a plug-in hybrid offering approximately 20 miles of electric-only driving range, according to Porsche. Because it is a full parallel hybrid, the Panamera S E-Hybrid can operate as an electric vehicle (EV) using just the electric motor and Lithium-ion battery, as a traditional vehicle using just the 3.0-liter gasoline V-6 engine, or as a gas-electric hybrid vehicle combining the two powertrains, as the driver chooses. For maximum performance, and to achieve the car's zero-to-60 acceleration time of 5.2 seconds and its top speed of 167 mph, operating in gas-electric hybrid mode is required. Combined, the powertrain makes 416 horsepower and 435 lb.-ft. of torque. A boosting function improves performance, while a coasting function captures energy that would otherwise be lost during the deceleration process, and feeds it to the battery pack. Porsche says the Panamera E-Hybrid's battery can be fully recharged in 2.5 hours using a 240-volt power outlet. 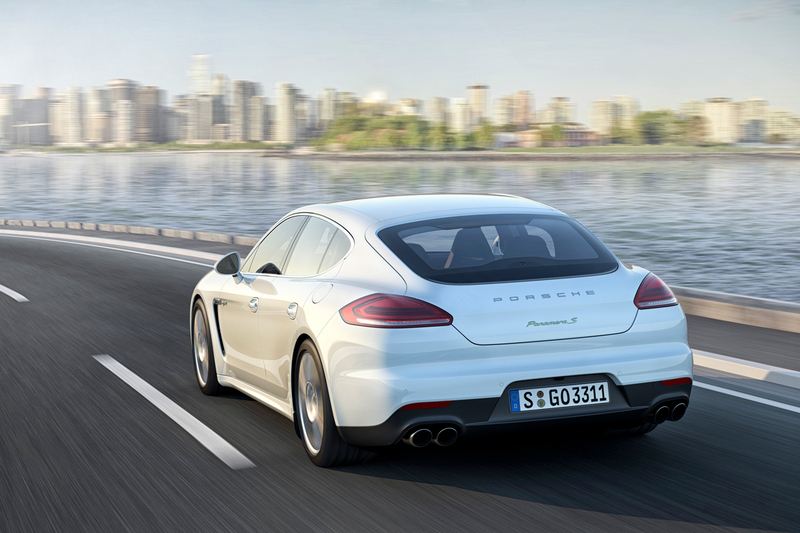 Porsche adds its Porsche Active Safe (PAS) technology to the Panamera's optional adaptive cruise control system for 2014. The PAS system uses the cruise control sensors to determine when the Panamera is approaching obstacles ahead at an unsafe closing rate, pre-filling the braking system and readying the brake assist system for maximum response when the driver touches the brake pedal.